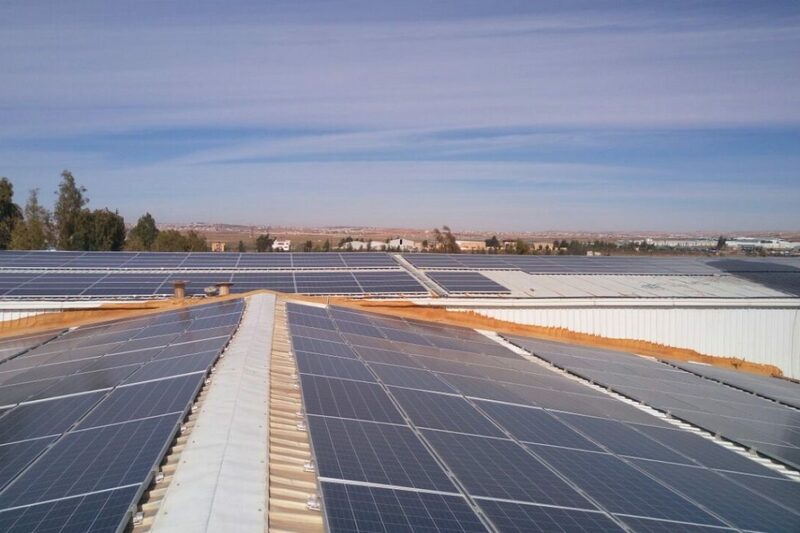 Plant consists of more than 1,600 polycrystalline panels by Jinko Solar and 9 inverters by Kaco New Energy. 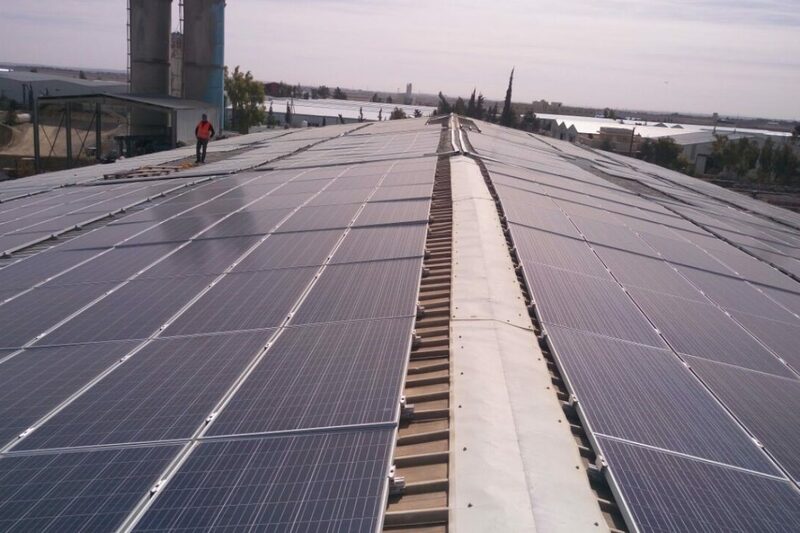 The panels were ﬁxed to the rooftop of the factory using Aluminum mounting rails by Schletter. The system is expected to reduce the electricity bill by 72% and is expected to be part of the full energy saving plan to make the factory a Zero-Net Energy building. The project is expected to payback in less than 5 years and live for 25 years minimum as only high-quality products were used. The used panels were the special PID free edition (Eagle Series) with extended warranties for the German inverters. All the metal components were made of anodized Aluminum and Stainless Steel in order to assure no corrosion effects will take place. DC to AC ratio didn’t exceed 16% to assure peak losses are reduced to the minimum while achieving the inverters are operated at full load.